side. This book is my attempt to explore how this switch was possible. You don’t have to look far in our world to encounter people – of all sizes – who relate to food in chaotic ways. The chaos can take many forms: compulsive overeating, undereating, or extreme pickiness. Some people become so obsessed with the purity of what enters their mouths that they cannot accept invitations to eat with friends. It is a lonely occupation, being someone who wrestles to control their responses to food, given that modern life is steeped with things to eat, both real and imaginary. Snacks assail us at the checkout; dream feasts tease us from hoardings, newspapers and TV cooking shows. Without ever quite having a full-blown eating disorder – though I came close – I managed to make myself pretty miserable about eating for the best part of a decade, from the middle school years to young adulthood. I probably appeared fine: a bit overweight, nothing more. 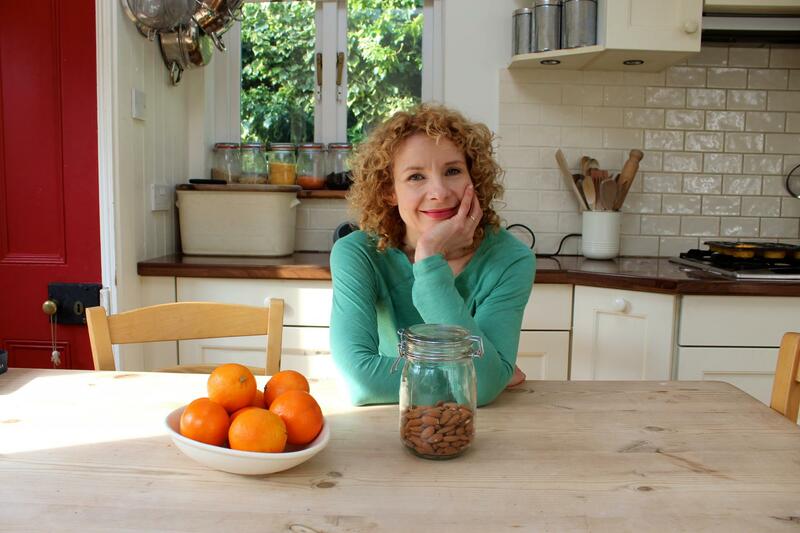 But food was my main relationship, and – although it had some of the thrills of romance, especially when I was in the kitchen with a hunk of sweet brioche dough – it wasn’t a stable or sustaining kind of love. We talk in a sickly way of ‘indulgent’ foods, but when you are trapped in compulsive habits of dependency on them, it does not feel like being pampered. There were days when I gave myself up to consuming guilty treats. Other days were for not eating, which was even worse, taunting myself with the foods that I wouldn’t permit myself. surmountable. I learned that it was OK to eat a hearty meal when I was hungry; but also OK to stop when I was full. My cravings for pastries lessened and my cravings for vegetables increased. There are still plenty of things I worry and obsess about, believe me, but my own eating is seldom one of them. Dinner is just dinner: nothing more nor less than the high point of the day. – I have sometimes felt as lost as I once did about my own eating. After the milk stage (and that was hard enough) none of the skills of feeding came naturally. How do you promote vegetables to an ironic teenager in a way that isn’t counter- productive? What do you do when your daughter comes home and says her friends have started skipping lunch? How do you keep a sense of proportion about fat and sugar without giving in completely to the ultra-processed food that is now ubiquitous? the best bit and the third sits quietly weeping because, while he actually likes aubergines, they are touching a piece of chicken and are therefore inedible. Did I say the high point of the day? And yet, comparatively speaking, my children are not problem eaters. change how they behave around food. But writing this book has taught me that there is immense potential for improving our eating habits. It may take longer for some people to get there than others, but learning how to eat better – which is quite different from going on a diet – is within anyone’s grasp. Perhaps the most eloquent argument for learning new ways to eat is that of pleasure. Eating is – or should be – a daily source of delight rather than something to fight against. It’s good here, on the other side of the divide. I do hope you’ll join me. 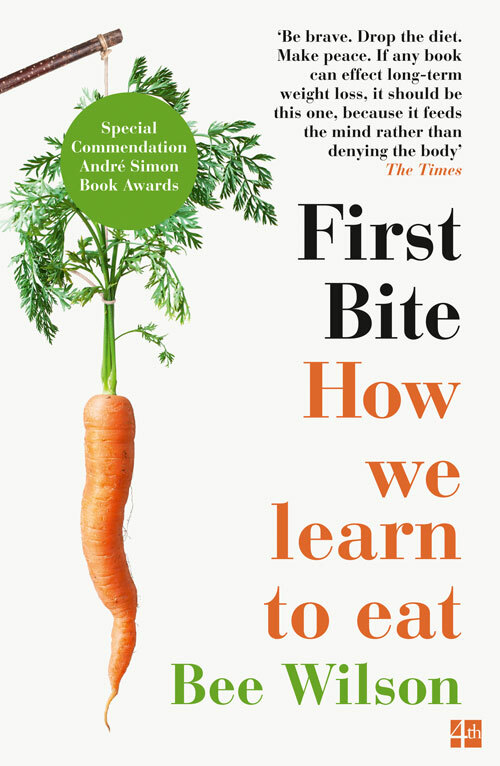 An exploration of the extraordinary and surprising origins of our taste and eating habits, in First Bite award-winning food writer Bee Wilson explains how we can change our palates to lead healthier, happier lives. First Bite is out now.